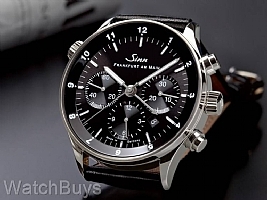 The new Sinn 6099 Frankfurt Financial District watch celebrates the 15th year for this series (the original Sinn 6000 was introduced in 1999). While the Sinn 6000 features a 38.5 mm case, this new design increases the case size to 41.5 mm with a larger and highly legible dial. We love the complications on the Sinn 6099 which include the tracking of three time zones, complete chronograph functions and date display. This new watch shares all the features of other models in the Frankfurt Finance Series, including a polished stainless steel case, special financial engraving on the rotor, sapphire crystals on both sides, and elaborate packaging. 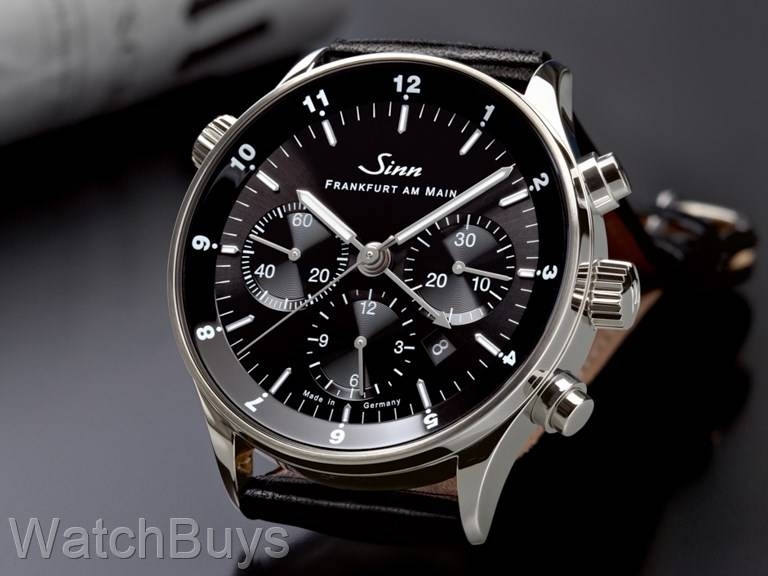 Included are a Sinn black calf leather strap, Sinn polished fine link stainless steel bracelet, additional spring bars, watchmaker's loupe, Sinn tool and metal warranty card.